Want to play your Xbox 360 games on Xbox One? The good news is that many Xbox 360 games are compatible with your Xbox One! This allows you to play several generations of Xbox titles on one system. However, you should know some important tidbits about playing Xbox 360 games on your Xbox One. Here are some instructions and guidelines. If you have an Xbox 360 disc, just pop it into your Xbox One like you would any other game. Once it installs, you’re good to go. For digital games, browse the Store to find a compatible Xbox 360 game. Once you buy it, visit the My games & apps tab and check the Ready to install section. Click the Xbox 360 game you want to install and you can download it right to your system. Not every Xbox 360 game is compatible. You can view a list of backwards compatible Xbox 360 games on the Xbox website. For convenience, view them all on a text list and you can use Ctrl + F to see if your games are compatible. Xbox 360 accessories won’t work. Any 360 game that requires Kinect, or your accessories like racing wheels, won’t work on backwards-compatible games. Your Xbox One can play original Xbox games too! Select Xbox games work on the Xbox One. You can find these on Microsoft’s list of compatible titles; check the Original Xbox Games box to see them. Currently, 13 titles are available. Online functionality works for backwards compatible games. As long as the game’s multiplayer is still functional, you can enjoy it online. You can also earn Achievements 6 Xbox One Games with Easy Achievements You Can Get Now 6 Xbox One Games with Easy Achievements You Can Get Now Looking to earn some easy Gamerscore? These Xbox One games will send you shooting up the leaderboards. Read More for Xbox 360 games. However, Xbox Live for the original Xbox is no longer available, and the Xbox didn’t feature Achievements, so keep that in mind. Xbox One features like recording and broadcasting work for backwards-compatible games. If you’re an Xbox Live Gold member Xbox Live vs. PlayStation Plus: What Do You Get With Each? Xbox Live vs. PlayStation Plus: What Do You Get With Each? If you're got a PS4 or Xbox One, you've probably thought about subscribing to PlayStation Plus or Xbox Live Gold. Let's see what they offer gamers for the price. 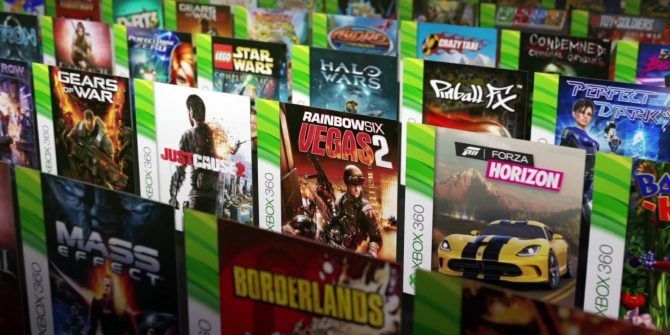 Read More , you can download free Xbox 360 games every month to give this feature a try! To see if you have any already, visit the My Games page and select the Xbox 360 tab, then look for games that say Backwards Compatible. Have you played any Xbox 360 or Xbox games on your Xbox One? What Xbox titles from the past would you love to experience? Tell us your favorites in the comments!